Will Selva’s latest blog post. When Troy Tulowitzki signed a 6 year extension worth roughly $120 million with the Colorado Rockies in November of 2010 he likely thought he would stay a Rockie until the deals expiration in 2020. However, with the Rockies sitting fifth in the NL West at 42-55, it looked to be time to sell off one of their best assets. The Rockies have finished with 66, 74, 64, 73, and 83 wins in each of the last 5 seasons. Those win totals won’t compete for championships and so rather than continue to pay who was the face of their franchise in Troy Tulowitzki, the Rockies dealt him to the Toronto Blue Jays. The Blue Jays receive one of the best shortstops in the game. Tulo is currently hitting .300 with 12 home runs and 53 runs batted in. While he has had his fair share of injuries, Tulo has one of the best bats in the game from the shortstop position. With the Blue Jays at 50-50, they look to be all-in in their hunt for a postseason berth. They’re 7 games back of the New York Yankees in the AL East and just 3 back in the Wildcard race. The addition of Tulowitzki to a lineup that already features power in Jose Bautista, Edwin Encarnacion, and Josh Donaldson should make for some tough nights for opposing pitchers. Tulowitzki felt “blindsided” by the move. Here’s what he had to say, “I felt like I got blindsided a bit. I thought I was in the loop, in the conversation.” This comes after Troy had been told the Rockies would keep him or if a trade arose, they would inform him of the possibility of moving him. The Rockies in return received shortstop Jose Reyes and pitching prospects Jeff Hoffman and Miguel Castro. Reyes like Tulowitzski is going through some strange times. In December of 2011, Reyes signed a free agency deal with the Miami Marlins for 6 years $106 million. Expecting to spend the duration of the contract in Miami, Reyes was shipped in a salary dump to Toronto in just the second year of his deal. Reyes felt betrayed by Marlins President Jeffrey Loria. He now is moving onto Colorado, another destination he probably thought he wouldn’t be playing out his current contract in. Jose should not get too comfortable though. It’s extremely likely that the Rockies as sellers at the deadline will look to move Reyes again. The Miami Heat have fallen on tougher times since LeBron James decided to return to Cleveland. During a time when they were a sure thing to contend for an NBA Finals title, Heat brass were willing to pay whatever tax bill it took to bring home a championship. The Heat won two titles in that time period but without LeBron, things don’t look as certain anymore. In moves to try to get as close to the luxury tax line, the Heat have made some interesting moves. It started with the Heat dealing 2014 1st round pick Shabazz Napier to the Orlando Magic for a heavily protected 2nd round pick in 2016. 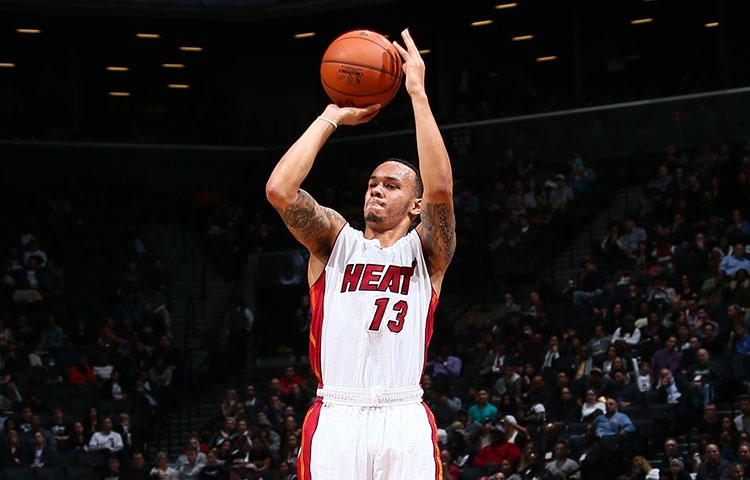 The Heat were essentially looking to dump Napier and his guaranteed salary. By doing so, the Heat save roughly $4.5 million in salary and tax. It’ll be interesting to see how Orlando Plans to utilize Napier as they look to be pretty happy with 2014 1st round pick Elfrid Payton and have recently signed CJ Watson to backup Payton. The Heat brought back Goran Dragic and still have Mario Chalmers under contract. The Heat also dumped Goran Dragic’s brother, Zoran, to the Boston Celtics in a similar trade. Boston received Zoran Dragic and a 2020 2nd round pick for a heavily protected 2019 2nd round pick. The move saves the Heat roughly $5.5 million in salary and tax. The Heat have now been able to shave roughly $10 million off of their salary and luxury tax bill in a matter of days. The Heat may not be done. They have been rumored to be trying to move Mario Chalmers as well. Heading into the 2015 NBA Draft, many thought Cleveland Cavalier center Brendan Haywood would be dealt. Haywood, a veteran with 13 years of experience signed a 6 year $55 million deal in 2010 with the Dallas Mavericks. However, the deal was not fully guaranteed. Haywood is set to make $10.5 million dollars this year but if waived by August 1st, the Cavaliers owe him nothing. But rather than just cut him, it’s in the Cavs best interest to move him and bring back another player who can contribute, making roughly $10.5 million a year all the while clearing cap space for a trade partner. The Cavs tried and ultimately extended their deadline. The Cavs traded Haywood, forward Mike Miller, and two 2nd round draft picks to the Portland Trail Blazers in exchange for well nothing. The Cavaliers will however receive a $10.5 million and $2.85 million trade exception. These are the figures that Haywood and Miller had been set to make this year. The exceptions last one year. The move allows the Cavs extra time, seemingly until the upcoming seasons trade deadline to use the $10.5 million exception. By that time, Cleveland will hope to pounce on a player from a team that has since fallen out of the playoff race and is looking to clean house. The moving of Mike Miller comes as a bit of a surprise. Miller has essentially followed LeBron James over the course of the last 4 or 5 years. However, by dealing Miller in addition to Haywood, the Cavaliers lower their tax bill. Cleveland also recently moved 2015 2nd round pick Rakeem Christmas in order to avoid paying him and a steeper luxury tax bill. Cleveland still has to handle deals with Tristan Thompson, Matthew Dellavedova, and possibly JR Smith. The first couple of teams are heading to training camp and it’s getting close to football season again. With the NFL season comes fantasy football time. Everyones doing their research looking for a leg up on the competition. With many players moving, new opportunities arise and players have the opportunity to step up and prove themselves. Let’s take a look at some sleepers at wide receiver for this upcoming NFL season. 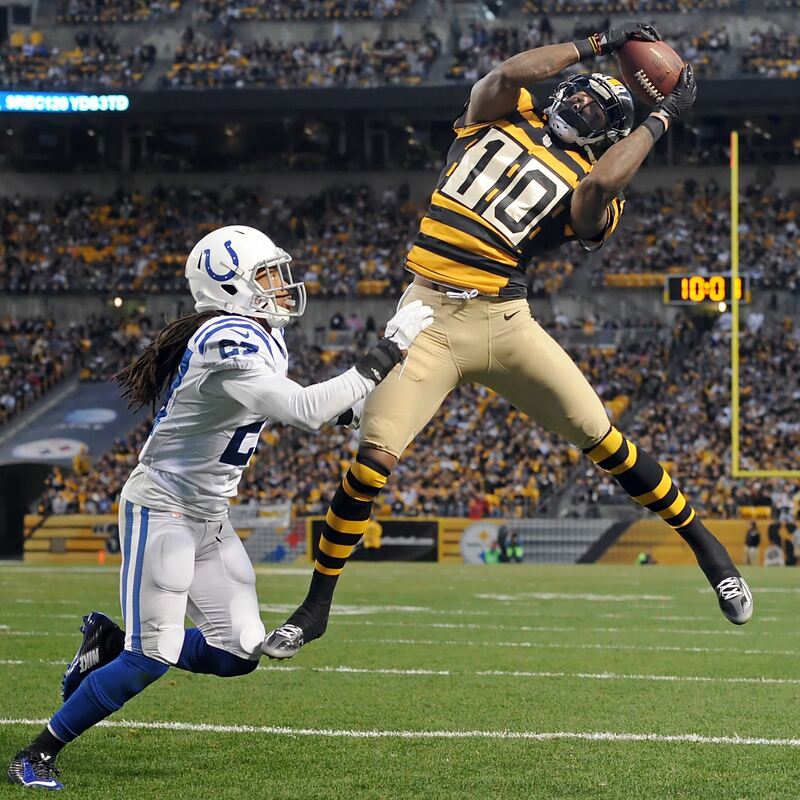 Martavis Bryant is poised for a breakout year. Bryant didn’t appear in a game until October 20th, but boy did he burst onto the scene. By November 9th, Bryant had caught 6 touchdowns already while playing in just 4 games. A rookie out of Clemson, Bryant played second fiddle to Sammy Watkins in college but looks like he can play at the NFL level. Bryant stands at 6’4 and 210 pounds making for a great end zone target. He finished with 26 receptions for 549 yards and 8 touchdowns in 10 games. He’ll play opposite Antonio Brown, one of the best receivers in the game today so defenses will be keying in on Brown as opposed to Bryant. Bryant can very well put up 1,100 yards and 8-12 touchdowns this year. Steve Smith Sr. has been around the league for 15 seasons and has had his better days. During his final five years with the Panthers he eclipsed 1,000 yards just 2 times. During his age 35 season with the Baltimore Ravens, Smith recorded 1,065 yards and 6 touchdowns. At times in the offense Smith found himself as Flacco’s go-to guy. He had 11 games with 5 receptions or more for the Ravens. Now with Torrey Smith in San Francisco, Smith becomes the leader of a receiving core that features unproven players in 2015 1st rounder Breshad Perriman and undrafted 3rd year players Marlon Brown and Kamar Aiken. Stedman Bailey is a 3rd round pick from the 2013 draft with not much to show for it. In his defense, he has suffered from Sam Bradford being so injury-prone. In the final 6 weeks of last season, Bailey put up 349 receiving yards on 22 receptions with a touchdown. That pace through the course of a 16 game season puts him close to 1,000 yards. With Bailey ending the 2015 season on a high note, he now welcomes a quarterback in Nick Foles for this coming season. Assuming Foles can stay healthy, he gives Bailey a better option at the quarterback position to get him the ball than Austin Davis or Shaun Hill did. Does New England QB Jimmy Garoppolo have Tools to Succeed?